Having grown up in sunny Arizona, living in gray, rainy Portland does a real number on my psyche. My 3 year-old recently handed me the picture above, which she she had drawn for me. 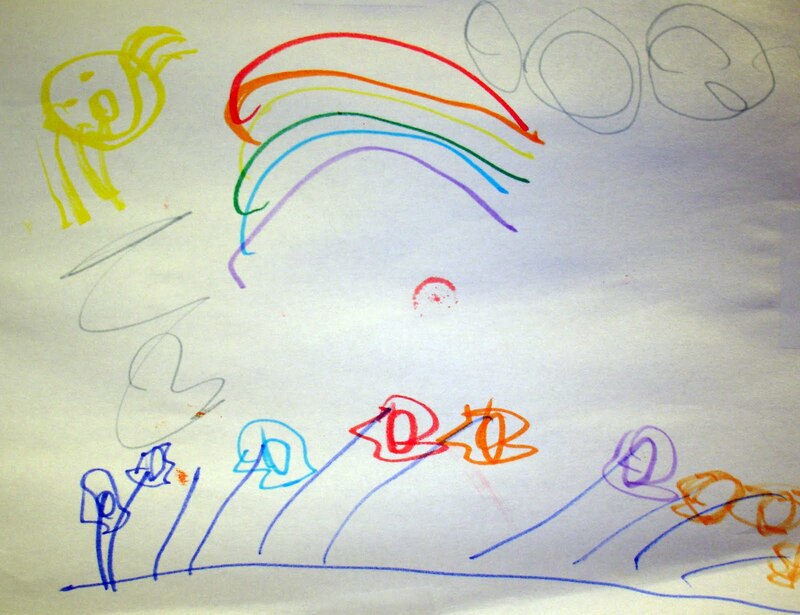 I was struck by the fact that while there are indeed the ever-present gray clouds, she also included a rainbow and a smiling sun -- not to mention an array of colorful flowers. I hung this picture up somewhere I could see it often each day to remind me of her positive perspective. We could all use the reminder to realize that there are indeed rainbows and sunshine on even the cloudiest days. She is my guru.